While many flowering bulbs are stored over winter, in some areas, storing bulbs may not be necessary. In many southern climates, such as zone 7 and warmer regions, storing flower bulbs is not required, with exception to the hardy varieties, which require a chilling period for optimal growth. Tender bulbs, which include most of the summer-flowering varieties (dahlia, caladium, gladiolus, tuberose, elephant ear, etc.) normally require lifting each fall to be over wintered indoors. In the South, winters are typically mild so most bulbs can be over wintered in the ground. With adequate winter protection, the vast majority of these bulbs will continue to thrive and multiply year after year. This winter protection often involves generous applications of mulch, such as straw, shredded bark or leaf mould. Not only does mulch help insulate tender bulbs from cool winter temperatures, but it also helps with premature growth during warm spells that commonly occur during late winter and early spring. While winter storage of tender bulbs in south most regions is not necessary, lifting them will not hurt, if you still choose to do so. 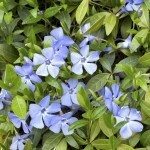 They can be easily lifted with a garden fork or spade shovel prior to the complete die out of their foliage. Break up the clumps and separate the bulbs, allowing them to dry out some before storing, usually about a week or two in a cool, dry area. 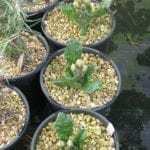 Then, clip off foliage, shake off any remaining soil and pack the bulbs in dry peat moss or wood shavings in a brown paper bag or cardboard box. Place them in a dark area with cool room temperatures, like a basement, until spring. Some fall-flowering bulbs are treated like tender bulbs in the South. These may include crinum, canna, and exotic dahlia varieties. They are usually lifted and stored over winter; however, in the South, this is not always necessary. 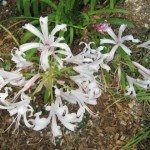 Other fall-flowering varieties, like autumn crocus, nerine and cyclamen, can be left in ground as well. Many of these, like the autumn crocus and cyclamen, can actually tolerate cool winter temperatures. The best winter protection for these bulbs, as with the tender summer varieties, is mulch. How Do You Store Bulbs That are Hardy? Due to the lack of cold winters in the South, hardy, spring-flowering bulbs (tulip, daffodil, hyacinth, etc.) are oftentimes treated as annuals. These bulbs generally require a chilling period in order to produce blooms. If bulbs don’t receive adequate chilling, poor blooming, or none at all, may result. Another downside to growing hardy bulbs in southern climates is the humidity. Hot, humid conditions may cause the bulb foliage to disintegrate more quickly, which makes it difficult for the bulbs to produce enough energy for healthy growth and development. This does not mean you cannot enjoy hardy bulbs in the South, however. You simply need to provide them with a suitable chilling period. Many varieties of spring-flowering bulbs will not produce blooms a second year in southern climates. Therefore, it’s necessary to dig them up at least every other year for an 8-week chilling period in the refrigerator. Lift the bulbs as you would tender varieties after blooming and once foliage has faded significantly. Allow them to dry out some and clean them off. When storing flower bulbs like these, especially tunic varieties such as daffodils and tulips, be sure to place them in ventilated bags (brown paper bag, mesh bag, etc.) with wood shavings and store the bulbs in the refrigerator, away from any fruit. Alternatively, you can pull these bulbs up and discard them, replacing the bulbs with new ones each year, much the same as you would do with annual plants. PeppersWorms On Peppers: What Is Eating My Peppers? Read more articles about General Bulb Care.